Chabot College is a public two-year California educational institution accredited by the Commission for Community and Junior Colleges of the Western Association of Schools and Colleges and welcomes students from around the world. 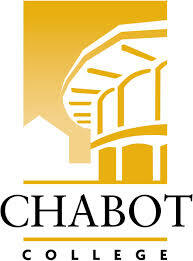 Chabot College is a public comprehensive community college that prepares students to succeed in their education, progress in the workplace, and engage in the civic and cultural life of the global community. The college furthers student learning and responds to the educational needs of our local population and economy. The college serves as an educational leader, contributing its resources to the intellectual, cultural, physical, and economic vitality of the region. Recognizing that learning is a life-long journey, the college provides opportunities for the intellectual enrichment and physical well-being of all community members who can benefit.